I'm glad to be getting back into a regular groove of posting and hopefully you are enjoying the posts, too! I also hope that you won't mind that this week's Fresh Fitted Friday selection is actually a snapback! 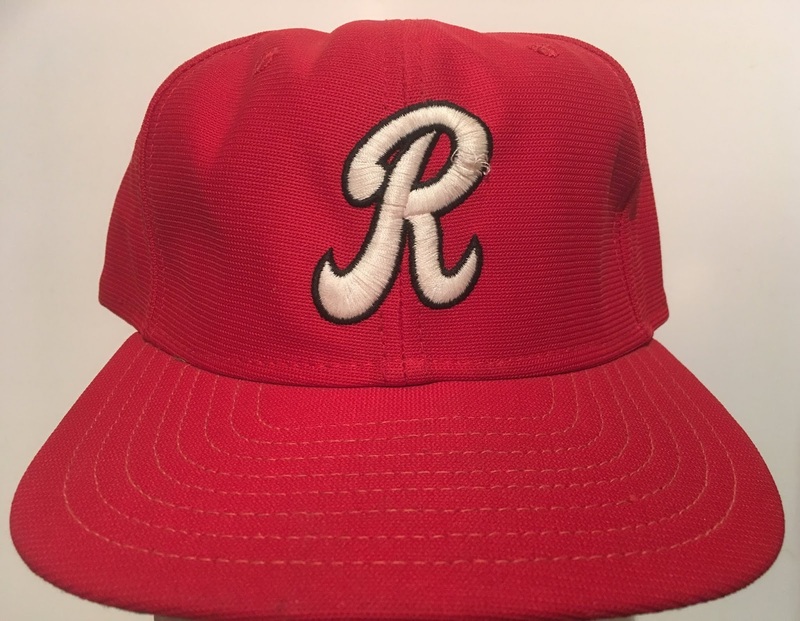 Truth be told, you can't even be mad at this one because the material on the crown is Fresh Mesh plus it's yet another Rochester Red Wings cap! The details surrounding the years this cap might have been worn are fuzzy —as is the embroidery on the top right portion of the cap logo—seeing as how I can't seem to find an exact match for the logo via my usual resources. The solo sweatband tag on here tells me that this cap definitely has some age on it and it actually reminds me of my 1992 Tidewater Tides cap that once belonged to Kevin Baez. Baez played the 1994 season in Rochester. 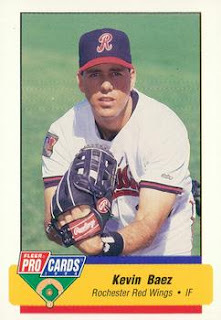 He's seen here wearing the cap logo used from 1992 through that season however I believe the red brim was only worn in 1994. 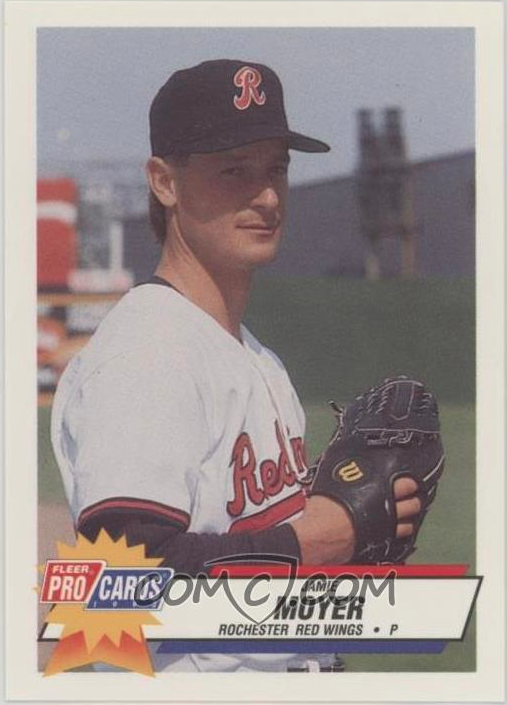 Next, here's a card from 1992 where Jamie Moyer is shown wearing the all black version. 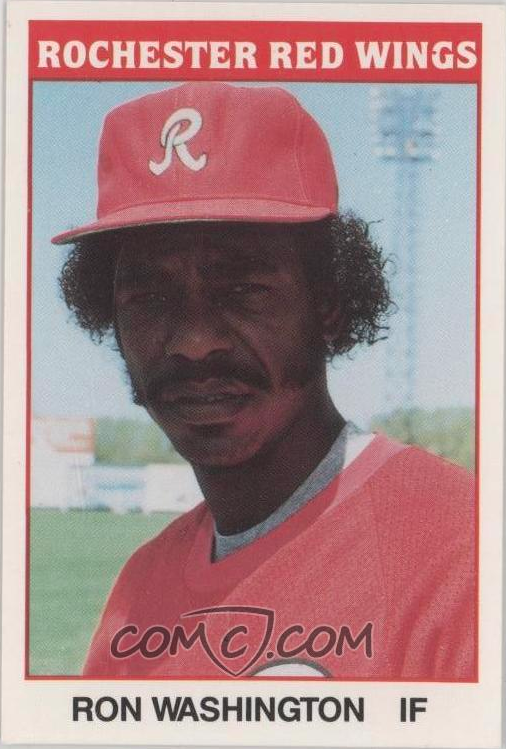 I'm just now reminded of how people made jokes about Moyer's advanced age at the end of his career and man, that was some BS, y'all. I was getting the guy's autograph as a kid and I think that it's awesome that he played so long. 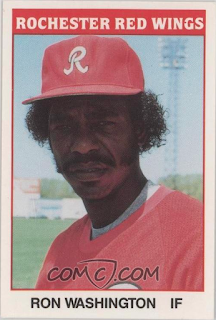 I can't have a tribute to International League icons like the Rochester Red Wings and Kevin Baez without mentioning Ron Washington so here's a card from 1987 which coincidentally was the only year Bill Ripken (not pictured because his card has a naughty word on it, just kidding) played in Rochester. 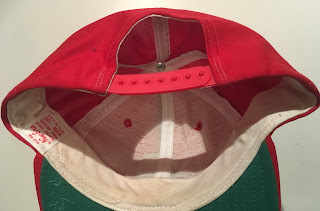 As you know, I'm not really a big fan of red caps but because this one holds some sentimental value I don't think I can part with it so it won't be going on the Trading Block however please don't hesitate to reach out if you want any other cap from that list and you are willing to part with any of the hats on my Wish List.